Today we commemorate the uncounted millions of faithful who suffered and died at the hands of the Soviet atheists. 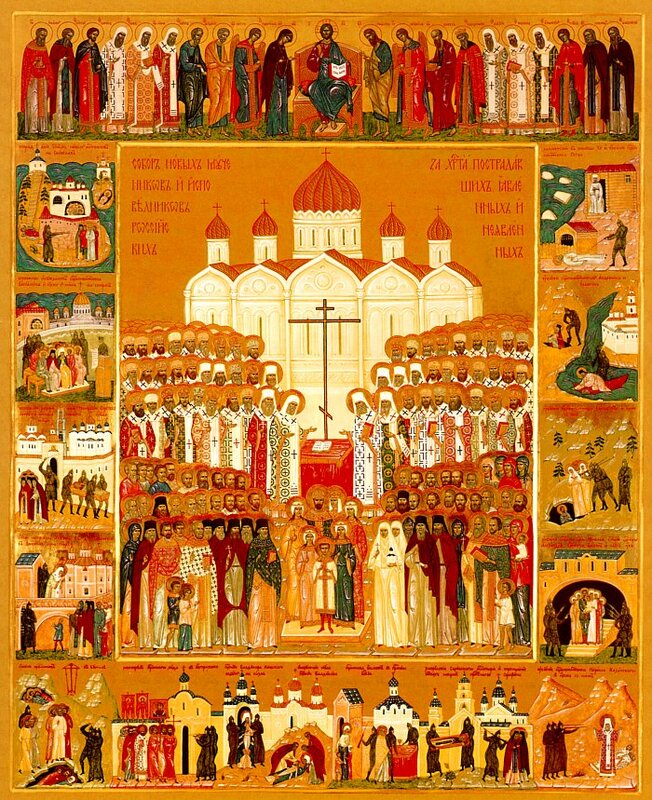 These include the Tsar-martyr Nicholas II and the rest of the Russian Royal Family (July 4); Patriarch Tikhon (March 24); Grand Duchess Elizabeth (July 5); thousands of martyrs, both clergy and laity, whose names are known; but also millions upon millions of simple believers whose names have been lost to history. The number of the New Martyrs of Russia far exceeds all those from the "Age of the Martyrs," the first three centuries of Christianity. May their memory be eternal. The date of this commemoration was first set by the Russian Orthodox Church Outside Russia in 1981, then adopted by the Moscow Patriarchate in 1992. About 1050 new martyrs were glorified by the Patriarchate in 2000, and many more are expected to be recognized in coming years. The stone with the mass grave and barbed wire from Norilsk. Pieces of a dilapidated wooden bridge from Dudinka which the repressed travelled over to where they would be imprisoned.